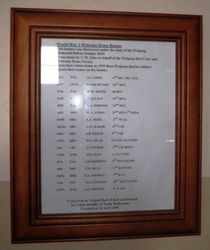 A banner which includes a hand-written honour roll commemorates those who served in World War One. 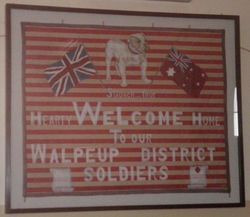 The banner was made in 1919 by Mrs C.M. 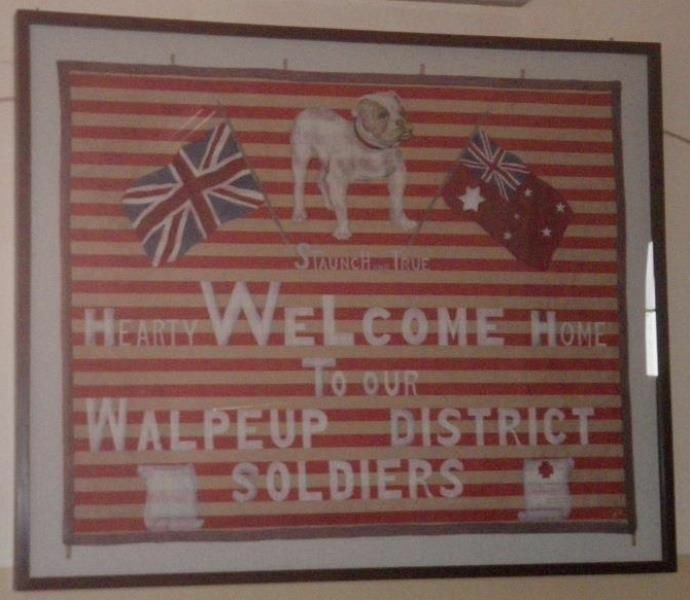 Glen on behalf of the Walpeup Red Cross Society and the Walpeup Welcome Home Committee, and displayed in the Walpeup Railway Station to welcome soldiers from the district returning home. On their arrival, soldiers signed the banner. 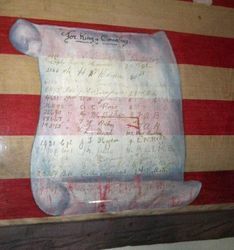 Following its discovery under the stage of the memorial hall in October 2003, the banner was professionally restored and framed through a grant from the Department of Veterans' Affairs, and unveiled on 23 April 2005 at a ceremony at the Memorial Hall that was attended by many descendants of those who had signed their names in 1919.